I am a small hedgehog breeder located in Cedar City Utah, we breed mild tempered, good quality hedgehogs here and strive to get them into good homes. 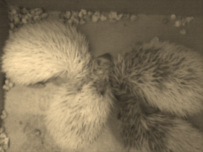 I have few breeding hedgehogs because they are my pets that I handle and care about. 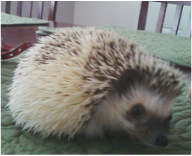 I am an experienced hedgehog owner, and will recommend the best quality items for your hedgehog so they can live a happy, healthy long life. I will NOT sell to irresponsible breeders of any kind, if you are planning to breed hedgehogs Please contact me and I will work things out with you. I breed responsibly, my hedgehogs are not related which I breed together and none of my animals have health or genetic issues of any kind. Hedgehogs have a very delicate set of genes and if bred with the wrong male/female or if over bred the results could be disastrous. It takes years of research and care to get it right, and still there could be errors.